Even the most creative of people can struggle with inspiration sometimes. There are many reasons why you might hit a block in your creative life, but don’t despair – there are ways around it. I have ten suggestions for you, so let’s get straight into it! This is one of simplest things to carry out but will probably be the one that you resist doing. I’m willing to bet that you don’t have an unlimited supply of creative time, and that makes it precious. Any time spent doing something you want to do rather than something you have to do is precious, right? So to deliberately spend time you had earmarked for creativity in any other way seems crazy. Another example is doing a whole page of doodles before you start a sketch. Just let the pencil go, like you did when you were five. You may find that what you doodle is unexpectedly awesome anyway. If you’re painting, start with a page of messiness in your sketchbook. Just paint for the fun of painting rather than to paint anything in particular. Adults can learn a lot from kids when it comes to creating, and it’s fun to attack the page the way they do. They don’t spend ages agonising over it; they just do it. 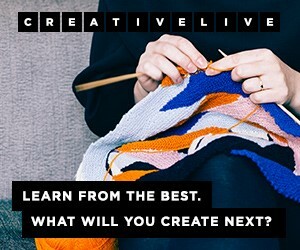 Take part in the 30-day Get Creative Challenge and get an email in your inbox every three days with an actionable tip to getting more creative in your everyday life. ​You'll also get the free workbook and checklist! This is kind of linked to my first point, in that if you are doing something you feel like you should be doing, it can take the enjoyment out of it. Feeling like you should be being creative will certainly take the shine off it, so give yourself permission to do the thing you really want to do (even if both activities are creative). If you really want to be colouring rather than making that birthday card for your friend, spend ten minutes colouring and then make the card. Or make the card and then colour afterwards. A little bargaining with yourself can work wonders! A bit of fresh air can blow away the cobwebs that might have developed as you sit at the desk or table. Try not to actively think about the thing that you’re stuck on, but don’t be surprised if you find the ideas flowing as you walk. It’s definitely a good idea to have something with you to record anything that comes to you, even if it’s just the notes function on your phone. Don’t rely on your memory, as you may end up being frustrated when you’ve forgotten all your great ideas when you get home! Exercise, as far as I’m concerned, is any activity that makes your heart beat faster and also break a sweat (although I accept that there are one or two exceptions to this!). Depending on your fitness and current exercise routine, that could be a brisk walk or it could be a five-mile run. But as well as being good for the body, exercise helps the mind. The endorphins energise you and motivate you and make you feel ready to tackle anything. That change in mindset, from the frustration that a creative block prompts to feeling like anything is possible, will help no end with your creativity levels. Inspiration can be found all over the place, and you may find that when you go out for a walk you find inspiration in the beauty of nature. But if not, you can find so much gorgeous stuff on the internet, on Instagram and Pinterest in particular. The important thing here is to not end up falling down the rabbit hole for two hours and having ten different ideas but no time in which to create them! A good idea is to set a timer so that even if you’re absorbed in admiring the work of others, you’ll be brought back to reality to create your own stuff. If you’re worried about your work being influenced too heavily by the work of others (and this is possible without outright copying someone), consider looking at other fields besides your own. So if you’re looking for inspiration for a fabric project you’re working on, consider looking at paintings and sketches. 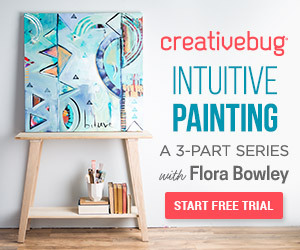 Taking in the shapes, colours and themes of paintings should help to kickstart your creativity without you worrying about subconsciously creating an identical version of someone else’s fabric project. I don’t know about you, but for me everything is more difficult when I haven’t had enough sleep. Plenty of people are in that same boat. Motivation keeps slipping through your grasp and it’s tempting to just do the bare minimum to get through the day. Then when you have a bit of free time, the kind that ordinarily you crave so that you can do something creative, it somehow seems easier to sit and watch reruns of Friends (even the episodes you’ve seen about fifty times) rather than challenge yourself to create something. Try making the effort to have an early night to really recharge, and see what a difference it makes to your creativity. Are you a knitter who has wondered about trying crochet for a while? Maybe you like sketching with coloured pencils and want to see what a difference watercolour pencils might make to your projects? Or perhaps you make a lot of fabric projects but want to get into something completely different, like papercraft. Creative people often have this desire to try all sorts of different creative skills, and it can lead to lots of half-finished projects. (Guilty!) But if there’s one thing in particular that you pretty much always do – watercolour painting, for example – and you’re finding that for some reason it’s not giving you the pleasure that it used to, maybe it’s time to try something else. Whether that’s a different skill in your same field – painting with acrylics, maybe – or something completely different – like scrapbooking – you’ll find that your inspiration has been sparked in a way you might not have been expecting. Set yourself a five minute challenge and see what happens. Five minutes isn’t a long time so if you feel like all you’ve created is a mess, then you’ve only spent five minutes doing it. But I’m willing to bet you’ll surprise yourself. If you wait for the perfect sketch idea before you open that lovely new sketchbook, you’ll never open it. I can almost guarantee your brain will never think an idea is good enough. The same goes for that nice scrapbooking paper you have in your stash. If you keep it for the perfect project, you’ll never use it. I was in exactly that position until recently. I kept coming across this pile of gorgeous paper that I’d bought a while ago, and every time I saw it I thought, “Oh, I won’t use that because there will probably be a better project for it.” Well, I can’t tell you how many years I had that paper before I finally used it, realising how crazy it was that I was keeping it, apparently indefinitely! The kind of perfection our brains are looking for doesn’t exist, and it’s really just resistance to creating something that we feel might not be good enough. No one is perfect, so let’s just embrace that fact and get creative anyway!